Increasing complexities in the healthcare system, the correlation between educational levels and patient outcomes, employers’ expectations, and looming redundancy make it essential for registered nurses to seek higher degrees. Completing the BSN may not be an easy task, but is achievable. Working RNs believe that the degree won’t make them better nurses and that the rewards will be minimal, but an overwhelming number of graduates benefit from personal satisfaction, professional growth, and increased professionalism and confidence. So while health care reform legislations, employers’ pursuit of Magnet recognition, and growing demand for BSN and MSN prepared nurses may drive all the buzz, the degree is most beneficial to RNs, who have the opportunity to grow on a professional and personal level. There are many reasons and benefits of returning to school, but you have to evaluate your schedule and expenses to determine whether it is right for you. Consider your short-term and long-term goals. Would a BSN degree help you to achieve them? If you’re content with your role attending to patients in a clinical setting, there may not be a reason for you to go back to school. However, future trends may mandate that you get the BSN degree to continue practicing. If you plan to engage in advanced practice or become a nurse educator, you’ll need to complete the BSN degree in preparation for graduate study. In spite of the uncertainty of obtaining better positions or pay increases, more than 52% of Virginia’s RNs return to school to earn a bachelor’s degree or higher. They cite professional advancement, job satisfaction, improved practice, better clinical skills, and being a positive role model as key motivators. Ultimatums from employers and fear of obsolesce also influenced some decisions to go back to school. Employer incentives, such as tuition assistance, flexible work schedules, and worksite classes, help many undecided RNs embrace the idea of completing the BSN degree. 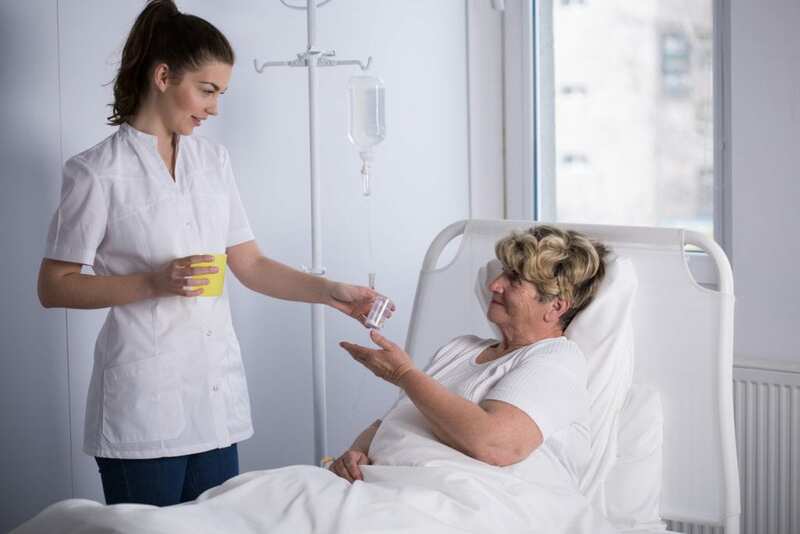 The results of in-depth research indicate that the population’s access to high-quality, patient-centered care will increase with increased education of the nursing workforce. A key recommendation of the Institute of Medicine’s, Future of Nursing report is to have at least 80 percent of registered nurses holding a bachelor’s degree by 2020. The Academic Progression in Nursing Program and an increasing number of associations also support the move to raise the level of education of the nursing workforce. The need for higher educated nurses will increase in response to changes in the health care system. Hospitals are admitting patients with more complicated conditions, and as the sector relies on information technology for solutions to problems, nurses must have the knowledge and competencies to function effectively within the system. Many RNs believe that they don’t need to get a baccalaureate degree to develop the skills they need to meet the challenges within the system. However, BSN graduates generally agree that the advanced education improved their practice. The research, community nursing, and holistic nursing covered in the BSN program prepares them to use solutions beyond those they already knew and typically relied upon. Thus, they were better prepared to handle patients’ needs. Pursuing a baccalaureate degree is a way to better yourself. It will give your self-esteem a boost and improve your satisfaction on the job. BSN RNs obtain greater satisfaction from the job due to improved clarification of their role, increased confidence in their ability, and a greater understanding of management decisions. Their advanced learning helps them connect the dots and use critical thinking to provide better care and more positive outcomes to patients. There’s an enormous need for BSN RNs to provide care in the complex health care system. However, the shortage of nursing faculty is another grave concern within the industry. Virginia’s colleges and universities need nursing faculty to educate the next generation of nurses. If you plan to become a nurse educator, the baccalaureate degree is the first step. It is also vital if you want to continue in practicing in the role of a clinical specialist. Nursing is rewarding, but it is hard physical work. The baccalaureate degree sets the foundation for advanced degrees, which will provide options in your later years. A BSN may or may not offer an immediate increase in salary. At many hospitals and medical facilities, ADN RNs and BSNs perform the same duties and have the same titles. Employers prefer BSNs but make no differentiation in the staff salaries. However, when it comes to programs and pay increases, employers will look favorably on those with the advanced degree. Therefore, the degree opens doors to better pay, improved hours, and promotions as it demonstrates your commitment to lifelong learning and safe practice. An incredible number of RNs are reluctant to return to school due to fear of compromising their work schedules. However, online programs are flexible and convenient, making it easier than ever for nurses to complete their education. More than 75% of RN-BSN programs deliver content via distance education to removing a significant barrier to earning a BSN degree. Moreover, tuition assistance from employers and financial aid remove the assertion that returning to school will be too costly. There are sixteen RN-BSN programs in Virginia that cater to the needs of working RNs. Empower yourself and prepare for future trends and changes in the requirements for practice by enrolling in a program today. A nationwide initiative to increase the number of BSN-prepared nurses to 80% by 2020 drives enrollment in the RN-BSN programs across the nation. Virginia’s colleges and universities recognize the importance of delivering this course offering in a format that is flexible and convenient for working professional nurses. The online classes are suitable to students’ schedules, affording them the opportunity to complete the lessons at their own pace. The program is specially designed for RNs, who have an associate’s degree or nursing diploma who wish to play a broader role in health care and take on greater responsibility in the health care system. The program may include graduate-level classes in health policy, evidenced-based practice, and epidemiology. Other course topics include health care policy, cultural perspectives, issues and values, evidence-based practice, nursing research, family health, nurses as adult learners, and community health. The clinical practicum requirements will be met in a number of settings based on the school’s existing contract with health care providers in Virginia. An active unencumbered license to practice as a registered nurse in the United States – a copy of the license should be submitted with the application. Prerequisite courses include health assessment, pharmacology, lifespan development, statistics, and human anatomy and physiology. A portion of the total program credit hours will originate from your prior education and experience. There may be a cap on the number of credits you can transfer into the program. The curriculum will start with the core nursing courses if you complete the general education requirements in advance of the program. The average completion time for BSN-RN programs is 18 to 24 months. Tuition for the RN to BSN program is an estimated $365 per credit hour. Applicants must have at least 120 credit hours, including transferred credits, at the completion of the program. Additional costs for college fees, books, and supplies will apply.